- Boing Boing reader ill ich. I like to remember the early days of this blog, when that’s all I did: poetry translated by a Newton MessagePad 110. Since then, I – how should I put it? – moved on. Posted by davelawrence8 at 10:08 pm on April 14th, 2010. No comments... » Categories: newton. Tags: boing boing, handwriting, messagepad, newton, newton poetry, recognition. Subscribe via RSS. Here’s Apple co-founder (and dancer extraordinaire) Steve Wozniak demonstrating software called Quickscript, a handwriting recognition package based on MyScript. His tool? One of those fancy Modbooks. Woz praises the Newton MessagePad several times during the video. “I used to love that Newton,” he says. Posted by davelawrence8 at 6:56 am on June 25th, 2009. No comments... » Categories: macs, newton. Tags: apple, axiotron, handwriting, hwr, messagepad, modbook, myscript, newton, quickscript, woz, wozniak. Subscribe via RSS. 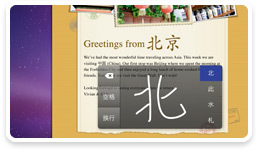 You can now use a Multi-Touch trackpad to draw Chinese characters in your documents. They’ll appear on the screen in a new input window, which recommends characters based on what you drew and lets you choose the right one. The input window even offers suggestions for subsequent characters based on what you chose. The iPhone had this ability first, but now it’s an OS X-wide feature. Pretty cool. Us Newton users are always curious to see how Apple uses handwriting recognition in our post-MessagePad world. The technology lives on in Inkwell, but would it be useful to have English handwriting recognition on Mac trackpads? Posted by davelawrence8 at 6:54 am on June 9th, 2009. No comments... » Categories: OS X. Tags: chinese, handwriting, hwr, inkwell, iphone 3GS, messagepad, newton, OS X, recognition, snow leopard. Subscribe via RSS. There are a few iPhone apps available that attempt to mimick Newton features, such as an updated PocketMoney and a few sketching applications. The one that recently got my attention was WritePad by Phatware. WritePad is a free download, and offers the one Newton feature that the iPhone has been lacking so far: handwriting recognition (HWR). WritePad also offers cut and paste, a feature iPhone and iPod Touch users won’t experience until the 3.0 release this summer. Before we get into that, it’s worth noting that WritePad is a trial application. 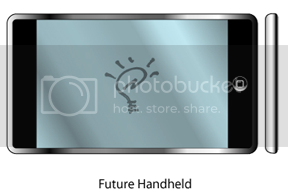 Phatware wants to test HWR on the touchscreen and is looking for feedback from WritePad users. That feedback will help develop the PhatNotes app. Hence the free download. 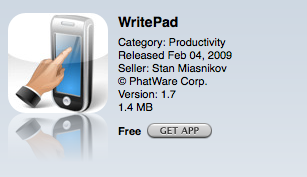 Phatware also uses WritePad’s HWR engine to power other iPhone apps, like WritePad Events and WritePad Notes. It’s basically a word processing program that lets you make and edit text files on your iPhone. The app includes a lengthy tutorial on how to use WritePad’s myriad features, like Auto Correct and user-defined dictionaries. There’s a lot to read and digest. To start with, the logistics of “handwriting” on Apple’s new touchscreens are difficult. With only a few square inches to work with, and a thicker-than-a-stylus finger, your results will definitely vary. Accuracy is limited by the size of your scribbling, the size of your fingertip, and your handwriting style. And unlike the Newton, the iPhone’s relatively small screen size limits the length of your scribbles. WritePad employs a unique solution to the small screen size: you can overlap your letters in individual words. But is that even practical? iTouch Tips give a great demonstration of the many features, like gestures and HWR options, and I’d recommend reading their post before digging in with WritePad’s options. Without messing with the options or the tutorials, I went ahead and gave WritePad a test drive. Here are a few examples. Given short, one-word scribbles, WritePad does a fair-enough job. 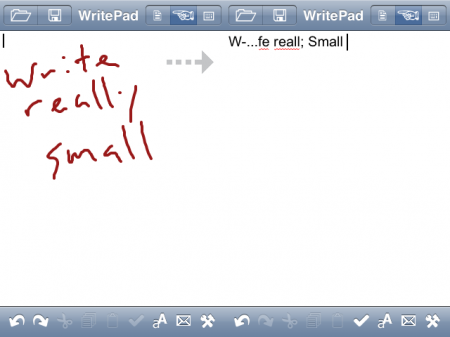 I made a conscious effort to write neatly and cleanly on my iPhone, and WritePad’s HWR did the job just fine. Given groups of complicated words, however, WritePad starts to fall apart. It reminds me of Newton 1.x’s brand of HWR: effective at times, but not nearly as good as 2.x. 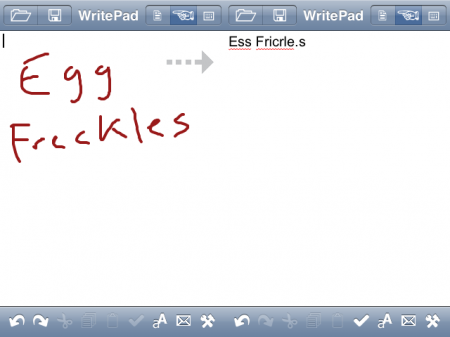 I made several attempts at writing “Egg Freckles” in WritePad, and none of the translations came up accurate. In fact, the text got more garbled the more I tried. 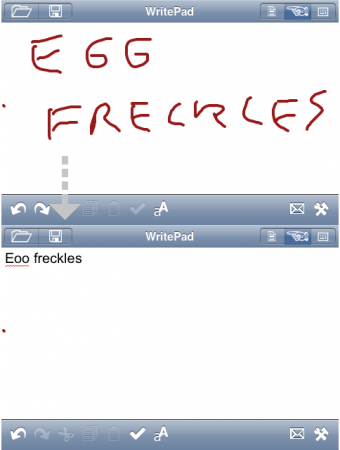 WritePad does offer a “learn your handwriting” option, where possible words pop up to match your own scribbles. And supposedly, after a while, WritePad will learn your handwriting style. So part of it is patience, and part of it is giving the system time to adapt. The only problem is, your words-per-minute speed will be miserable using WritePad’s HWR. With the keyboard, it logically gets better. Maybe an iPhone stylus would improve things, but I imagine few iPhone users will bother with a stylus. It’s too bad that WritePad’s HWR is limited to in-app use. I imagine developers could find some use for system-wide HWR using WritePad’s method, but HWR is probably one of those “background” features that Apple doesn’t allow. The other feature WritePad offers is copy/cut/paste, and this is done fairly well. 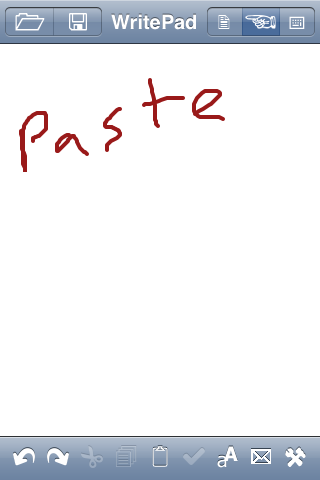 Here I write “Paste” using WritePad’s HWR (again, it does well at translating simple words). WritePad translates the word (above). To copy the text, tap twice and drag across the word to highlight it. WritePad offers cut, copy, and paste buttons at the bottom of the screen. 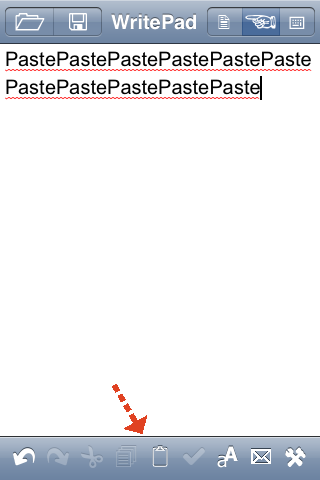 To cut my “Paste” word, I just tap on the little scissors icon. To paste, simple tap on the clipboard icon, and WritePad pastes the word as many times as you tap. Clean and easy. With the buttons, WritePad’s style of copy and paste differs both from the Newton and the upcoming iPhone 3.0 way of doing things. I can’t say if it’s better or worse because you can only copy and paste within the app. When you’re in WritePad, the copy and paste buttons are an automatic part of the UI. They work as advertised. 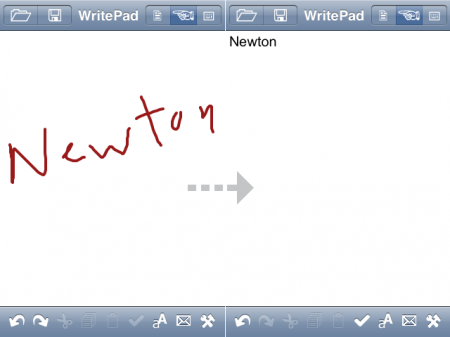 I had hoped that WritePad could act as a Newton-like Notepad application for the iPhone. Since you can open and save text files within WritePad, you can accumulate a hefty amount of notes. The Newton Notepad offered easy ways to organize your notes, however, which is something WritePad lacks. With WritePad, you have a list of text files with no apparent folder or file system to organize your notes. If you want an easy way to edit and write text files on your iPhone, WritePad is a fine enough word processor – assuming you use the keyboard. But any hope for using HWR in an iPhone app effectively, especially one that replicates the Newton, is dashed when you start to write longer-form words or sentences on the smaller iPhone screen. WritePad’s HWR doesn’t seem practical enough for extended use. A WritePad app on a larger-form iPod Touch or tablet, however? The possibilities of Newton-like performance start to grow. And to be fair, WritePad is a simple testing application that provides Phatware with enough user testing to implement WritePad’s HWR engine into a new, improved suite of apps. So we’ll see how it works out. In the meantime, WritePad offers a bit of Newton-like functionality with the HWR, and a preview of cut/copy/paste that we’ll see later this summer. And hey – it’s free, which helps. Posted by davelawrence8 at 6:00 am on March 30th, 2009. 4 comments... » Categories: ipod/iphone, software. Tags: copy, cut, handwriting, hwr, iphone, newton, paste, phatware, recognition, stylus, touchscreen, writepad. Subscribe via RSS. This is fun nonsense, but interestingly, nonsense can teach us a bit about how the very first MessagePad’s handwriting recognition software works, by bringing about some “worst-case scenario” behavior. Handwriting recognition was one of the features of the original MessagePad that was perhaps too strongly hyped with respect to what it delivered, while the improved recognizers in later models never received the public credit they deserved. Potts explains in this Folklore.org story how word lists and dictionaries can affect how the Newton translates handwriting. Interesting reading. And while you’re at it, check out the rest of Folklore – Andy Hertzfeld’s compendium of early Macintosh stories. Posted by davelawrence8 at 7:34 am on July 16th, 2008. No comments... » Categories: community, newton, newton history, software. Tags: apple, carroll, folklore, handwriting, inkwell, jabberwocky, messagepad, newton, recognition, rosetta. Subscribe via RSS. Handwriting recognition on the iPhone? This isn’t the first time I’ve heard it (Ars Technica has it too), but it seems the beta of the new iPhone firmware offers some sort of handwriting recognition, at least for Chinese characters. iPodHacks says many “consider Rosetta / Inkwell to be the most advanced handwriting recognition technology yet developed.” And I’ve heard that elsewhere too, since it’s – in part – derived from Newton’s own HWR engine. I just bought a spare copy of OS X 10.2 Jaguar, and it reminded me that OS X ships with Inkwell. Could my suggestion of a Newton emulator on the iPhone be any easier now? Maybe it’s already done. But how would writing with your pinkie turn out? Posted by davelawrence8 at 11:05 am on May 7th, 2008. 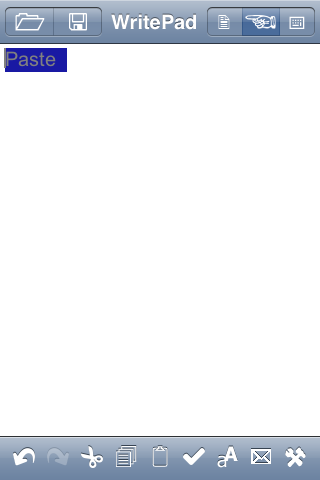 One comment... » Categories: ipod/iphone, OS X, rumors. Tags: character, chinese, emulator, handwriting, inkwell, iphone, ipod, jaguar, mac, OS X, rosetta. Subscribe via RSS.